(OPride) — Ethiopian security forces have killed more than 150 people and wounded and arrested thousands of Oromo protesters sinceNovember. The mass protests broke out over opposition to a controversial master plan by the federal government, which aims to expand the capital Addis Ababa’s jurisdiction into Oromia’s territories. But the widespread discontents in Oromia represent local manifestations of the public’s longstanding dissatisfaction with the country’s political and economic trajectory. It is a cumulative outcome of long-suppressed anger at the country’s deepening authoritarianism. 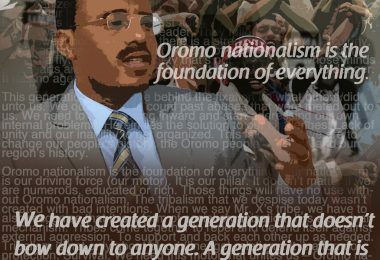 Oromo protesters are tired of pervasive political corruption and rent-seeking, patrimonial developmentalism, economic wretchedness and the anti-democratic nature of the ruling Ethiopian People’s Revolutionary Democratic Front (EPRDF). The protesters are fed-up with EPRDF’s asymmetric and top-down governing structure and a series of resultant government or policy failures. The ongoing protests highlight the uneven and unclear fiscal relations between federal and state government in Ethiopia. To fully understand what happened since mid-April 2014, when the anti-Master plan protests first began, and why these protests returned in November 2015, we must closely examine the political economy of EPRDF’s urbanization plan. 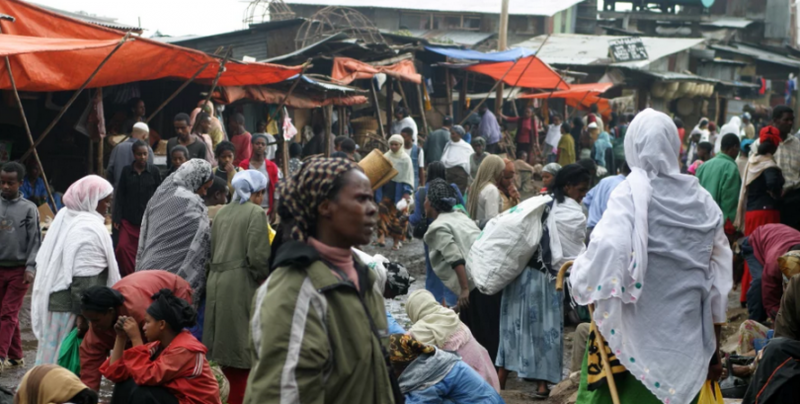 Ethiopia faces tremendous urbanization challenges. There is a high rate of rural-urban migration, heightened by a rapidly growing resource concentration in the capital and the lack of economic opportunities in rural areas. Addis Ababa’s population rose from 2,112,737 in 1994 to 3,384,569 in 2007, approximately 60 percent increases. The current population size is estimated to be 4.5 million, approximately 113 percent increases since 1994. UN-HABITAT predicts the city’s population will more than double by 2024. There are reports that this is a conservative estimate. Ostensibly, Addis Ababa’s large-scale urban development plan is the EPRDF leaders’ response to this phenomenon. If implemented, the disputed master plan will expand the city’s boundary by 20 times its current size. Addis Ababa’s gross domestic product at purchasing power parity (GDP-PPP) exchange rates is up to six times higher than that of the rest of the country. For instance, according to a 2010 PwC-UK estimate, the GDP-PPP per capita of Addis Ababa was greater than $6,000. Moreover, PwC predicted that by 2025 Ethiopia’s capital would experience the 5th greatest urban agglomerations or concentration by projected average real GDP growth. This would result in growth greater than that of Cairo and Lagos, the two most populous urban agglomerations in Africa. The high level of urban concentration presents major problems including income inequality, institutional building, social cohesion and political stability. Politically, in the long run, urban concentration promotes collective action by a relatively better-informed populace, thereby threatening the EPRDF regime’s continued grip on power. The government’s plan is not only to address the challenges posed by a high degree of urban concentration but also to multiply political cronies through land grab and oligarchic patrimonialism. State capitalism in Ethiopia induces the disproportionate transfer of resources from regional towns to the capital, attracting migrants, rent-seekers, and industries. This led to population explosion and the concentration of businesses in Addis Ababa. And state-owned enterprises and affiliated private capitalists control much of the city’s economy, exacerbating the problem of urban concentration. This works through a vertical, patron-client networks and public service politics. There is a high degree of centralization in the control and allocation of rents, with few EPRDF leaders and their cronies determining the distribution. The last two decades saw the concentration of industries in and around Addis Ababa. For example, most, ‘endowment-owned or endowment-linked industries’ and conglomerates run by government cadres such as the Endowment Fund for the Rehabilitation of Tigray (EFFORT) have their headquarters and key bases in Addis Ababa. These companies enjoy privileged access to credit, land resources and investment contracts as a result of political connections. And spatial proximity to the center of power increases political influence. These industries have vested economic interests in urbanization and growing demand for natural resources. They supply construction materials; they build high-rise buildings and other real estates around Addis Ababa; they build manufacturing and processing plants. Addis Ababa can be de-concentrated without expanding its jurisdictional boundary and bring about development to the surrounding cities and hinterlands but that requires decentralizing fiscal and other political decision-making. Evidence from several developing or emerging countries show that a country’s fiscal decentralization tends to level the playing field for competition across states and cities. Decentralization of fiscal autonomy entails substantial gains in terms of efficiency and equitable distribution of wealth. Under high fiscal federalism, regional states and cities have more autonomy to provide services and build infrastructure to attract investors. This creates economic opportunities in the regions, balance the distribution of population and resources and minimize the risk of regional economic disparities. Yet, EPRDF is trying to solve Addis Ababa’s urbanization challenges using the same instrument that created the problem. The concentration of people and resources in Addis Ababa is a result of high fiscal centralization and the coercive nature of EPRDF’s developmental state model. The Oromia regional state created the “Oromia Special Zone Surrounding Finfinnee” in 2008. The new zone is comprised of 8 cities and 6 districts surrounding the capital. Much of the land in the Oromia Special Zone is predominantly used for agriculture and forestry. In 2010, land use as built-up area and other investments were less than 10 percent. Oromia sought to devise a development strategy for the zone as the demand for land and other natural resources, such as water, skyrocketed in Addis Ababa because of its high economic and population pressures. The creation of the Special Zone was in effect a type of “anti-sprawl policy” meant to block or at least resist Addis Ababa’s horizontal sprawl into surrounding cities and farmlands. Land greed has caused substantial political conflict between the EPRDF and Oromo elites from Oromia’s bureaucracy. EPRDF politicians and affiliated businessmen need land as a way to accumulate more wealth. But despite being the largest of EPRDF’s coalition partners, the Oromo Peoples’ Democratic Organization (OPDO), the ruling party in Oromia, lacks a real decision-making power to meaningfully challenge the central government. Addis Ababa’s enlargement has already displaced millions of Oromo farmers and trapped them in poverty. Over the last decade and a half, more than 150,000 Oromo farmers have been evicted from the land and natural resources that have sustained their livelihoods for generations. This family owned, small-scale farmers have been instrumental in poverty reduction in the state. When the Master Plan was presented to Oromia state officials in April 2014, it faced fierce opposition. The meeting between representatives from the federal government, Addis Ababa city council and Oromia state officials was broadcast on state-run Oromiyaa TV. News of the meeting echoed quickly across the region, leading to protests. The students, rural peasantry, oppositional parties and diaspora communities eventually supported the objection to the master plan. The regime responded violently using excessive force, including live ammunition. This hardened the demand of the protesters and angered the majority of the Oromo people. Driven by the greed of the EPRDF leaders and state-owned business firms, the Master Plan will abolish the Oromia Special Zone. It‘s a non-federalist way of managing intergovernmental relations, as it violates the principle of comity and mutual respect between the federal government and the member state. 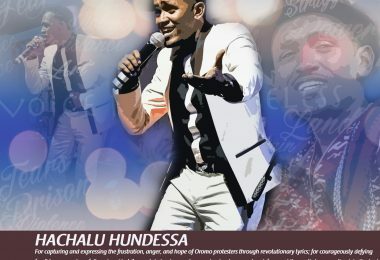 EPRDF is once again calling protesters ‘anti-peace and anti-development elements.’ As prominent Oromo leader, Leenco Lataa noted recently “it is the time for the Ethiopia’s ruling party to take full responsibility for its failures.” The Oromo protests highlight the fact that development is a political process first and economic process second. A discontent with political process needs to be resolved to achieve economic growth and development. The ensuring Oromo protests have exposed Ethiopia’s enduring political vulnerabilities. Although the constitution guarantees that all executive powers should not rest with the federal government alone (article 51 and 52), two decades later, fiscal and political power remains highly centralized. The central government dominates the formulation and execution of economic and other development policies for all states. The evolving nature of the Oromo protesters’ demands indicates a desire for genuine self-governance and decision-making power for states on matters that fall under their jurisdiction. EPRDF needs to create a favorable political arrangement before rolling out large-scale intergovernmental development projects. 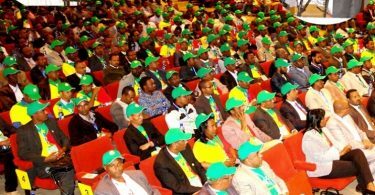 Only a genuine self-government can address institutional inadequacies and the dysfunctional federal structure in Ethiopia. People-centered urbanization or development, as opposed to land-based development, will only be possible by rationalizing the system of government and allowing the states to prioritize their development needs. Conventional wisdom holds that centrally planned economies suffer from truncated urban growth and forceful industrialization. This poses particular problems for Ethiopia’s much-hyped double-digit economic growth. For one, highly centralized planning and decision-making leads to inefficient concentration of resources unless the regional perspective is emphasized through increased fiscal decentralization or self-government. *The writer, Nemera G. Mamo, is a former Assistant Lecturer at the University of Gondar, and currently pursuing PhD in Economics at the University of Sussex, UK. He can be reached at getnemera@hotmail.com. Nemera G. Mamo is a former Assistant Lecturer at the University of Gondar, and currently pursuing PhD in Economics at the University of Sussex, UK. He can be reached at getnemera@hotmail.com. Happy International Women’s Day, Raging Granny!